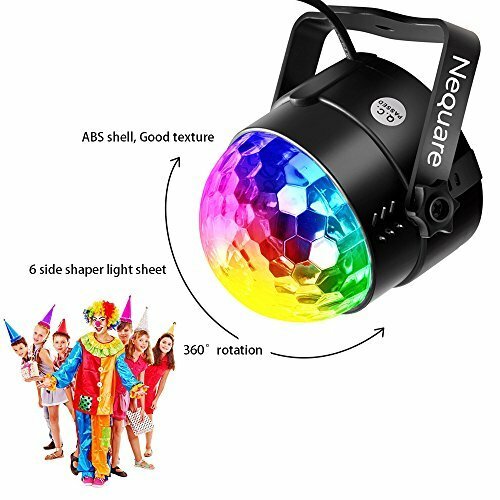 WHY IS THE NEQUARE PARTY LIGHTS THE BETTER CHOICE IN STROBE LIGHTS? Powerful voice-activated sensor captures nearby sounds or music and changes color or speed with the music. 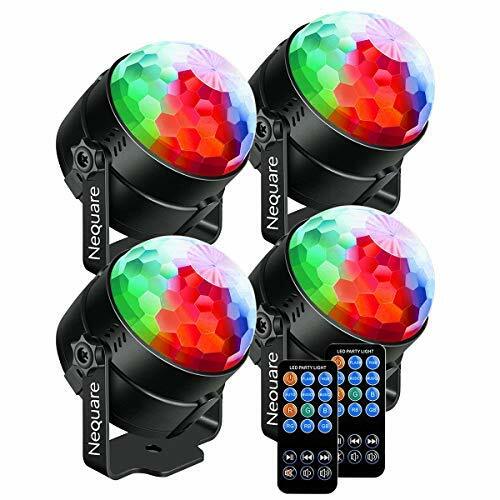 3 sound-activated modes and 7 various colors modes, easy to choose solid colors or multicolored by the handy remote. 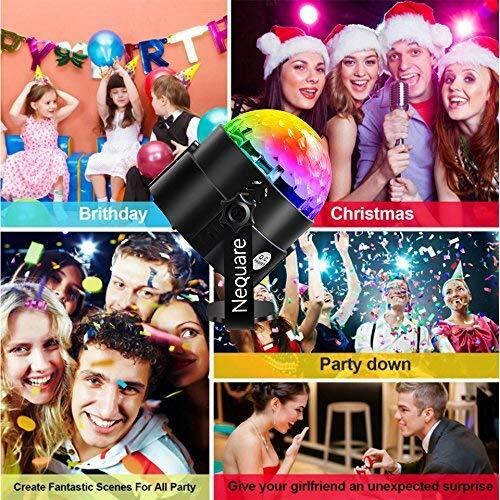 Plug in and play, Nequare party lights have the long extended cord and remote control, you can put it on your desk, and it also could be installed on the wall or ceiling. Lighting around 250 square footages, Best design for party, disco, ballroom, KTV, bar, stage, club etc. kids are very happy and looking forward to showing it to their friends. We have produced party lights for three years. There are 1 million+ people choosing our party lights each year. 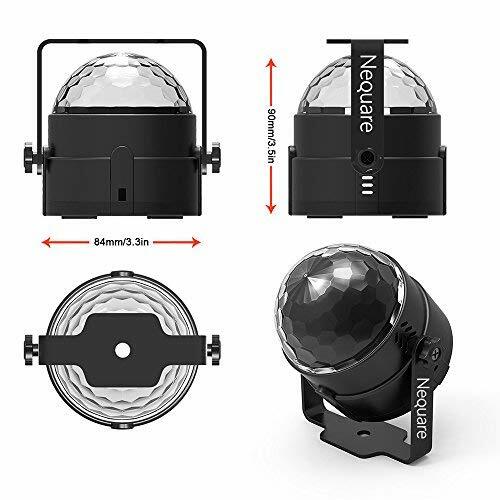 Every Nequare product includes a 45 days money back & 18-month warranty. 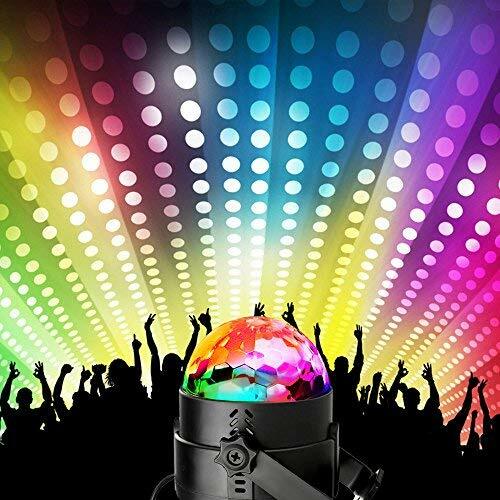 Start enjoying playing and singing with party lights - Add to Cart Now! 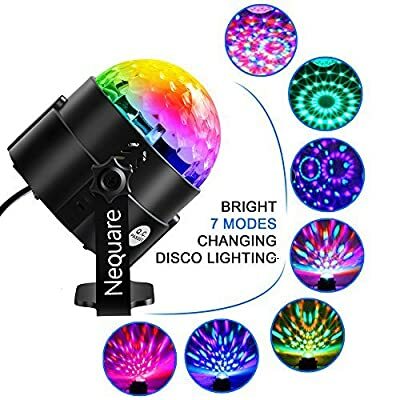 EXCELLENT PARTY LIGHTS WITH REMOTE: Nequare crystal magic disco ball can be sound activated with 7 different colors or mixed colors, along with remote control which makes you easy to control and switch lighting theme.